Carsten Arnold has become one of the most sought after architectural and interiors photographers in Metro Vancouver and the Fraser Valley. Clients benefit from his personable nature, keen sense of composition, creative lighting, and attention to the smallest of details. He brings his passion and deep experience to capture the essence of your vision. Carsten Arnold is a valued team member for hundreds of commercial businesses, restaurants, pubs, hotels, bed & breakfasts, retail stores, builders, renovators, interior designers, home stagers, and real estate agents. Large format photos and canvas printing up to 44" width x unlimited length. blurrdMEDIA provides rich, compelling imagery to architects, builders, designers and realtors in Vancouver and the Lower Mainland. 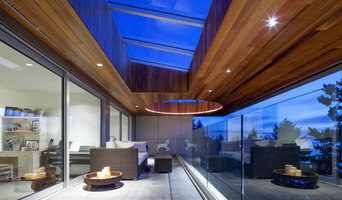 Francis Lai is an interior photographer based in Vancouver, British Columbia. He specialize in residential imagery for real estate marketing, interior designers, home stagers and architects. 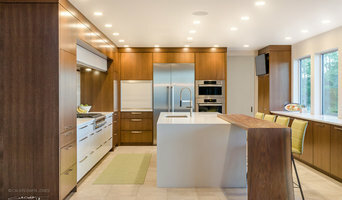 I specialize in architectural & interior photography in Vancouver and the Lower Mainland. My main goal is to provide award winning imagery while building long lasting client relationships. We specialize in providing architectural and interior photography that helps you win awards, market your projects better, tell your project's stories, and share the uniqueness of your designs. We're easy to work with, love collaborating with design professionals, and bring a depth of knowledge and specialized equipment including medium format digital that elevates your project in print, on the Web, and in social media. We photograph across the entire building process: from the glamour shots that you see here on Houzz, to construction progress and heritage documentation for residential and commercial buildings. Based in Vancouver and servicing all of BC and the US West Coast since 2007. Check out our website at <a rel="nofollow" target="_blank" href="http://www.mkphotomedia.com">http://www.mkphotomedia.com</a> for more info, and contact us for a consultation! I make Art out of Your Art. I have been an Architectural & Commercial Photography specialist for more than 10 years, my photos have been published in piles of magazines, won dozens of industry award competitions, used all over whole websites, I've shot innumerable marketing campaigns, been the sole contributor in 6 coffee table books and self-published 4 books. I can help you achieve an image folio of your work that communicates exactly what you do in a way that not only attracts more clients but inspires and excites them about their own project. My clients include magazine and book publishers, advertising and marketing companies and businesses of all sizes and types from Architects to Restaurants. Call or email to find out how I can show off what you do. SnowChimp Creative is a Photography/Video company located in Vancouver, BC. We pride ourselves on matching the vision of our clients and providing the highest quality product in the areas in which we shoot! Insight Photography International Inc. (Est. 1994) offers premium Architecture, Interior Design, Real Estate and Yacht Photography and Video Services. We also own and operate AppleVRTours.com - for the ultimate in interactive, multi-platform, smart-phone and tablet optimized Virtual Tours. Our clients attest to our portfolio: Canadian Tourism Commission, Parks Canada, Starbucks Canada, Sotheby's International Real Estate, HRSDC and Destination British Columbia as well as many of the most recognized Architects in British Columbia, Canada. We've been published in both National Geographic Adventure & Architectural Digest as well as providing signature imagery to Canada Post Corporation. A professional photographer with more than 15 years experience creating high quality images for the purpose of advertising and marketing. We pride ourselves on meticulous attention to detail and quality images to show our clients work in the best way possible. Tony Colangelo is an award-winning interiors and commercial photographer. Tony takes the time to fully understand your photography needs and combines this with proper lighting and editing techniques to deliver striking images that convey your vision to your clients. He also brings years of experience as a senior business executive to his work. As such, he understands the importance of effective marketing in a highly competitive marketplace and the value that exceptional photography can have in distinguishing your brand, while supporting your sales & marketing efforts. Tony's photos have been an integral part of many of his clients winning the heralded Gold CARE Award from the Victoria Residential Builders Association, with many others attaining ‘finalist’ status. 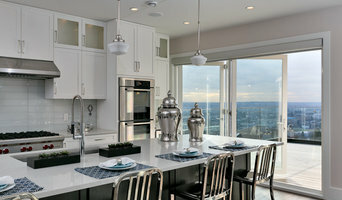 Furthermore, his work has been featured in Modern Home Victoria, Boulevard Magazine, Westcoast Home & Design, the Vancouver Sun, Victoria Times-Colonist, Richmond Hill Post, as well as a feature article on Houzz. Real estate marketing solutions for the leading realtors, builders, developers, and interior designers. 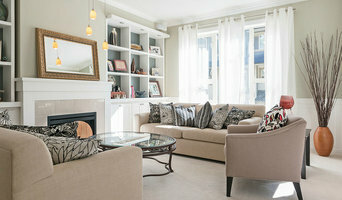 Staging Consult/Photography Services: Let me make small changes to your home or listing, to equal a big impact. I will consult with you or your seller and advise them on prepping their home for listing. I then schedule a return visit, to photograph your listing.